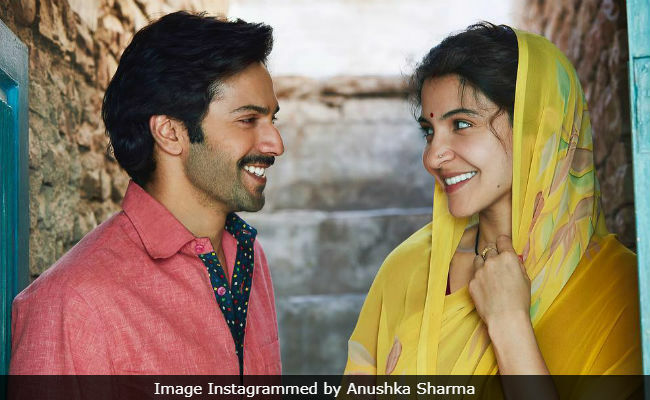 Anushka Sharma and Varun Dhawan gave their fans a reminder about their forthcoming film Sui Dhaaga's release date in "Mamta and Mauji" style (the name of the characters they play in the film). Both the actors shared a new picture from the sets of the film on their respective social media accounts and wrote: "Meet Mamta and Mauji on September 28 at theaters near you." They also used the hashtag "#MadeInIndia." Anushka, who plays Varun Dhawan's onscreen wife in Sui Dhaaga, can be seen dressed in a printed yellow saree as she lovingly looks at Varun. This is the first time that Varun will be sharing screen space with Anushka. @varundvn and @anushkasharma snapped on the sets of #SuiDhaaga. Sui Dhaaga went on floors earlier this year. The film is based on the theme of "Made in India" and it is set against the backdrop of small town India. The film has been shot across several locations including Chanderi (Madhya Pradesh), Delhi and Mumbai. Directed by Dum Laga Ke Haisha's Sharat Katariya and produced by Yash Raj Films, Sui Dhaaga is slated to release on September 28.